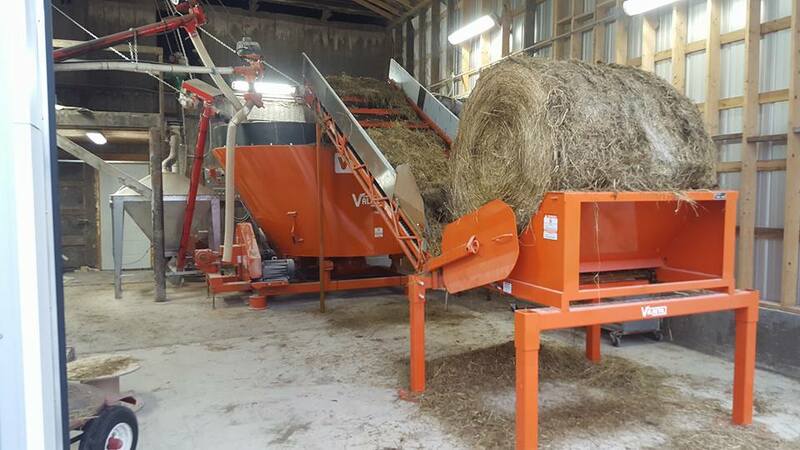 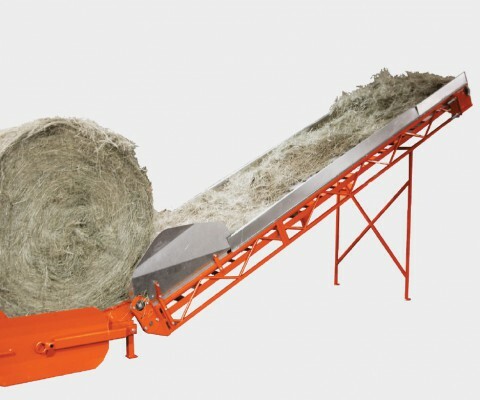 The Valmetal bale unroller simplifies the distribution of silage and dry hay. 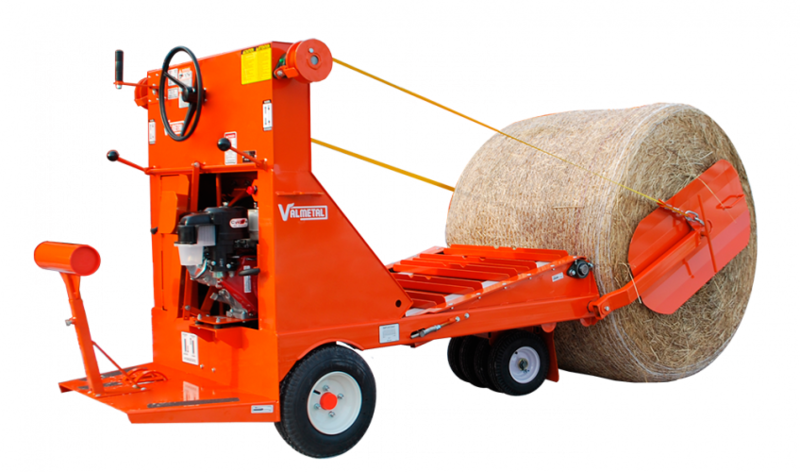 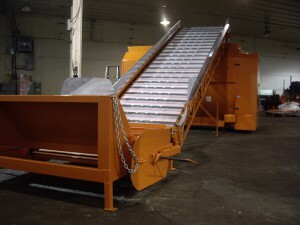 The Valmetal round bale distributor saves you a lot of time and without any effort. 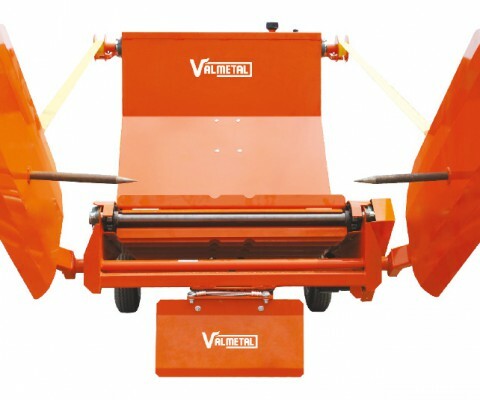 Sturdy paddles run onto anti-friction polymer bands. 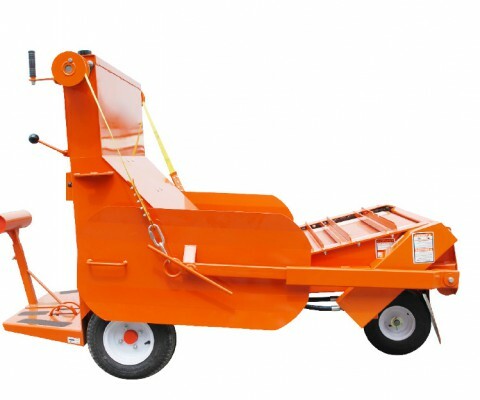 #662-H apron chains, tensile strenght of 8500 Lbs each. 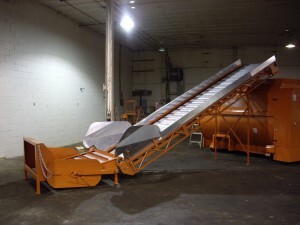 All 6 plies tires (6),4 at the front. 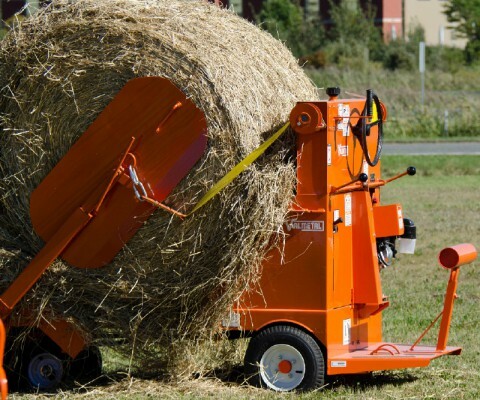 A winch equipped with two cables linked up to a set of telescopic arms safely loads the silage bale on the wagon (no ramp is needed). 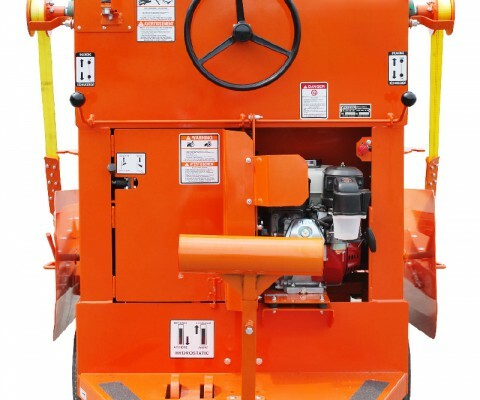 Driven by a 9 HP Honda Motor and a high performance hydrostatic pump. 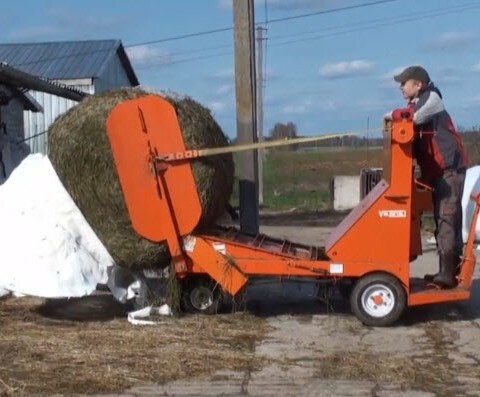 All you have to do is to drive the cart to the big bale, pull down the two telescopic arms, push the two “spears” into the center of the roll and hoist it on board, drive to the feeding alley and engage the apron. 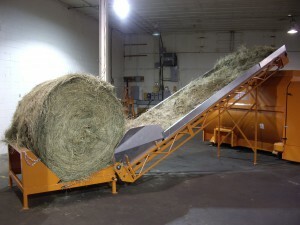 The bale will unroll as you drive back in front of your cows.